Conspire offers a range of coaching programmes. As we typically work with women in a holistic way, clients often take on a mix of leadership and life coaching over the courss of the engagement. - simply value having a space to step back, talk things through, set priorities, explore challenges and be the best leader possible. Leadership coaching programmes are typically on-going with engagements ranging from 3 months to 2 years based on an initial needs assessment. If you are like many of Conspire Coaching's clients, you are a woman who has a lot on her mind. What you are doing with your life and how you are spending your time really matter to you. People hire a life coach for ongoing work to live with intention and purpose. One month you may work on developing a new habit that supports you in being healthy. The next month you might focus on bringing more joy into your relationships. As the client, you are always in the driver's seat. The coach will ask you questions to draw out what matters most to you and how you can make changes or gain new insight into that area of focus. The result is a life that is grounded in values, free of monkey-brain distraction, increased satisfaction and a deepening of resilience and inner-strength. Life-coaching is typically an on-going engagement with a set day and time of the week. Suddenly something shifts and what was once working is no longer. 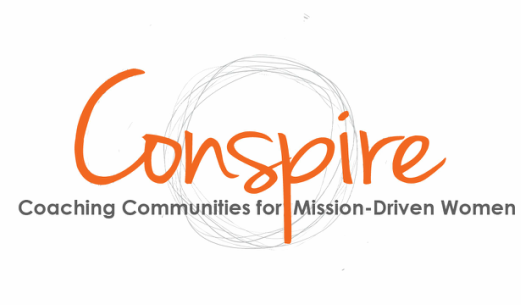 Using Conspire's Women Leaders Emerging Curriculum (TM) clients create a strategic plan for their upcoming chapter of life and career. Through this process, clients let go of what is no longer working and move towards creating a new reality. It's a powerful programme for women who are feeling ready for a significant change. This is a curriculum based programme that is completed over a three-to-four month period. Career development coaching provides a space, tools and a thought partner to explore who you are and what you want out of your career. The coach helps the client to clarify her values, strengths and career desires and then position herself to align these with her career. Career development coaching also supports professionals to make progress on performance goals that are often set in coordination with line managers. Coaching topics might include becoming more strategic, forming alliances and strong positive work relationships, developing influence, time management, leading up and coping with stress. For mums who consider themselves leaders in their families and communities and who want to raise children who are grounded, empathetic, kind and empowered to make a difference in the world. Conspire Coaching acknowledges the mental load of the zillions of things on a mum's to do list that keeps them from being fully present and enjoying their children. Sometimes work stress, or pressures from community commitments, or relationship / friendships struggles wear down your patience and kill your joy. ​Through coaching, you'l have a calming space to unload the stress of mothering and be able to step back to take a look at how you are approaching your children, family and community. Our packages vary in price based on duration, frequency and deepening elements such as online journaling and curriculum materials. The first step is to have an initial free consultation. Following that, the coach will send a suggested coaching programme along with prices and scheduling details. We work hard to ensure that women on a mission to make a difference in the world have access to coaching. For more information, please contact jenroberts@conspirecoaching.com. Optional ejournaling to stay in the coaching mindset and get written feedback. Depending on the coaching goals, your coach will advise on how long it would take to achieve the coaching goals. but you are not required to book more than one month at a time. After completing two blocks, there is an option to move into less frequent sessions. Women who prefer this option are craving a tested structure for designing and implementing a strategic plan. After a 2-hour intake, the client and coach will co-create a customized curriculum pulling from the tested framework of Women Leaders Emerging. These packages are typically sixteen weeks, depending on the leadership development and career goals clients are seeking. 1. One two hour intake coaching session. 2. Structured support in developing a personal and professional strategic plan. 3. Eight bi-weekly 50 minute coaching sessions. 4. Up to four 10 minute "getting unstuck" laser coaching sessions as needed. For those with a pressing need to make a change and need to put a strategy in place NOW, take a look at this alternative, semi-private (2-3 people) accelerator. Please contact jenroberts@conspirecoaching.com if you are interested in participating in an accelerator with 1-2 friends or colleagues.